A typical Punch style Petit Corona, but slightly more mild than other vitoles from the same brand. 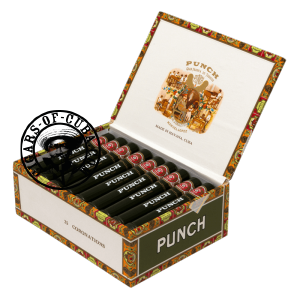 The Punch Coronations will appeal to the day time smoker, as the flavors are pleasant, relaxing and never taxing. This would be the ideal Cuban cigar to offer to a novice smoker, allowing them to enjoy the essence of a Cuban cigar without the complexity and need for a trained palate.